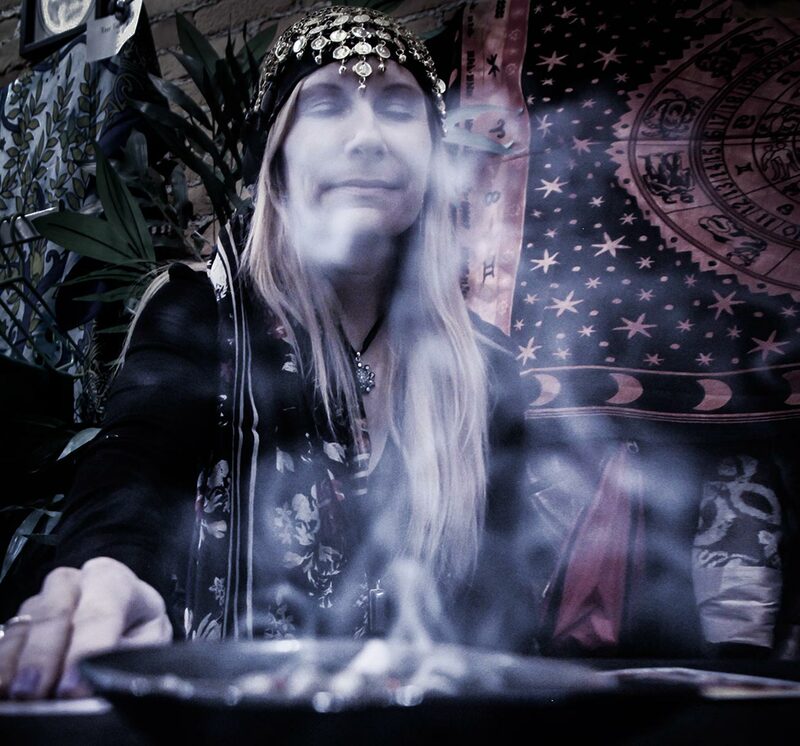 Fortune Teller | Jestr Events Inc.
Our fortune tellers concentrate on funnelling the power of spirits through them. They are able to channel this energy into their tarot cards and tell your guests what they believe the future holds for them! For deeper readings, they can also focus their energy on the crystal ball. Our fortune tellers have often been called "eerily accurate" at describing past, present and future events. Ask questions about your future, and receive answers about: Love, friendships, career, financial, or relationships! Book them for your next event today! 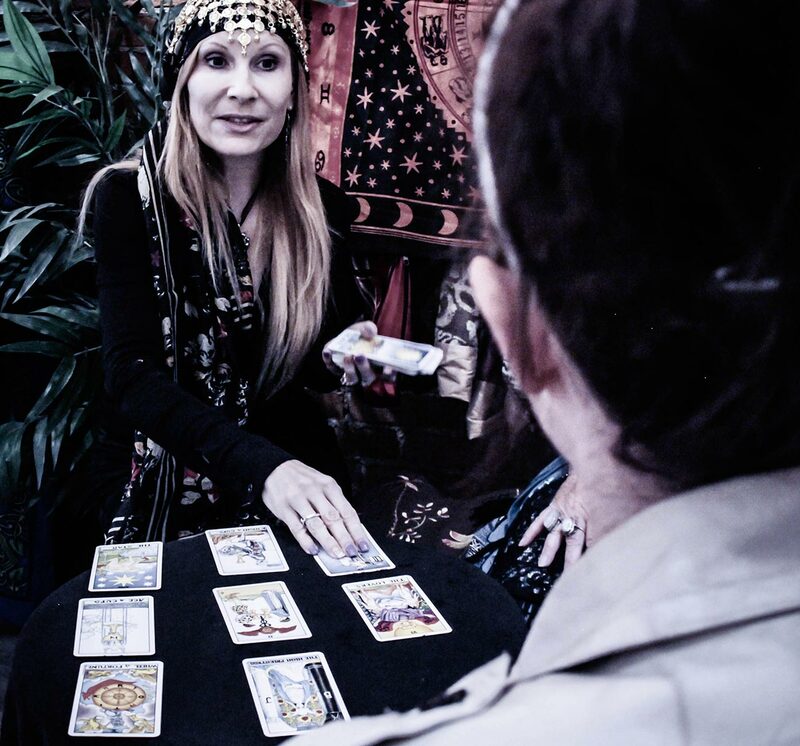 The fortune teller will tell your future using Tarot cards and/or palm reading. If you have a large crowd, instead of having a line up, a schedule can greet guests and assign reading times. This will clear the lines and allow better time management. Do I have to bring anything to my reading? What's required for me to book this for my guests? What if my event has a lot of guests? Each reading will take roughly 5-10 minutes. 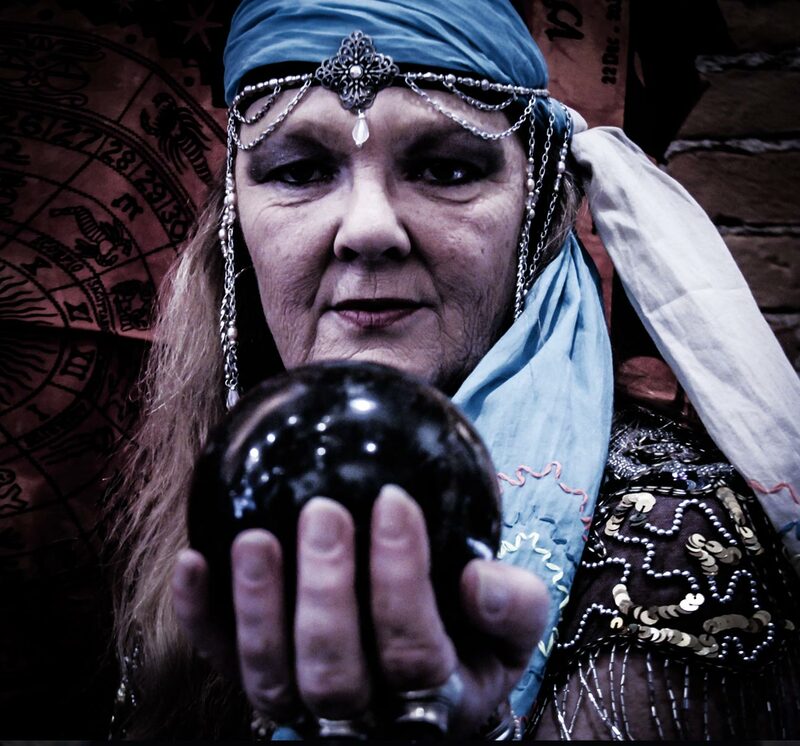 If you have a lot of guests, we would recommend a 2nd or 3rd Fortune teller. Additionally a scheduler would be beneficial, so your guests are assigned a time, rather than waiting in long lines. Can they tell me future lottery ticket numbers?